Great news, a stop motion short I worked on, The Myth of Pyramis, will be screened at this year’s LES Film Festival March 10th at Grand Opening (139 Norfolk Street). We’re part of the Animation Showcase. Unfortunately, the show is already sold out. I worked on the short with Phil Groman and Mick Hondlik. It’s our simplified take on the Myth of Sisyphus. 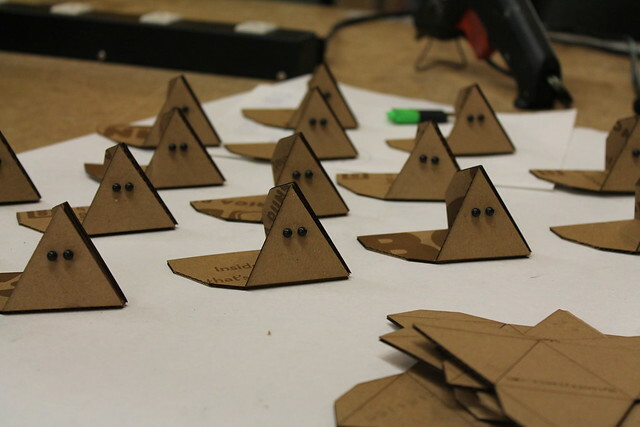 The Pyramis character was created on the laser cutter out of cardboard and two push pin eyes. 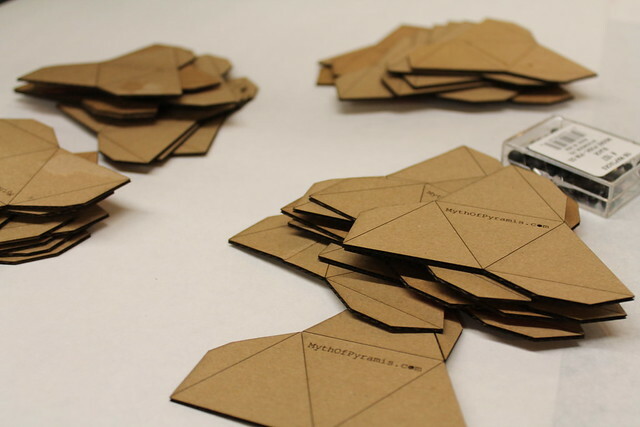 If you have access to a laser cutter you can make your own with this file. 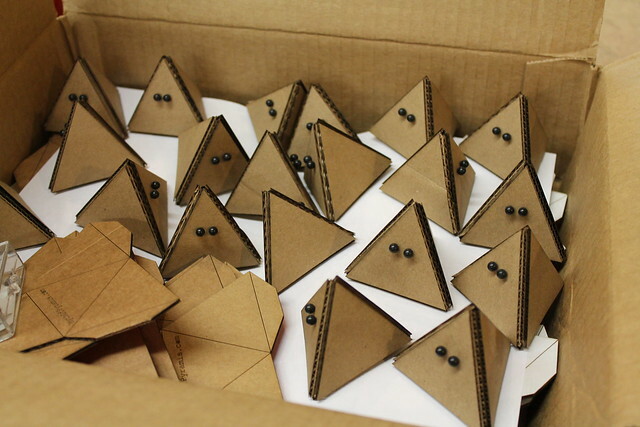 We’ve been hard at work putting a bunch of little Pyramis together for the big event. 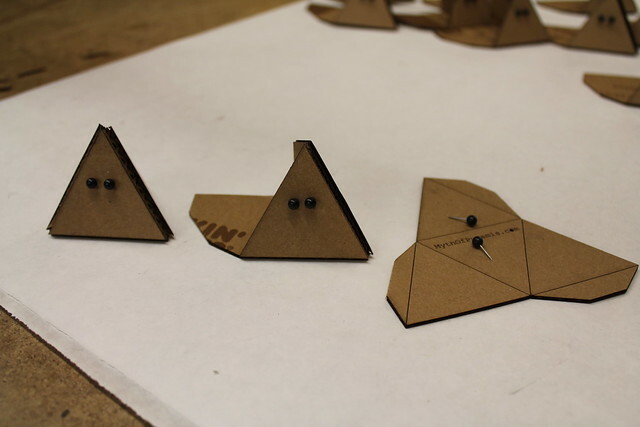 This entry was posted on Sunday, March 4th, 2012 at 11:40 pm	and is filed under Finished Project. You can follow any responses to this entry through the RSS 2.0 feed. Responses are currently closed, but you can trackback from your own site.